Gov. Bill Walker took his third swing at filling the vacant Senate District E seat, and he may have finally found a winner. Walker announced today the appointment of Mike “Dozer” Shower, a veteran pilot for the U.S. Air Force who currently flies for FedEx. Shower was among three additional names local Republicans supplied to Walker after a messy appointment process that culminated in Walker’s second pick withdrawing himself from consideration. The governor balked at the initial picks put forward by Republicans, and his initial pick was a Mat-Su Borough assemblyman not on the list put forward by local Republicans. Senate Republicans rebuked the pick for not including local input, but Walker struggled with picking what he felt was a qualified candidate. Shower, on first glance, doesn’t appear to come with such baggage. 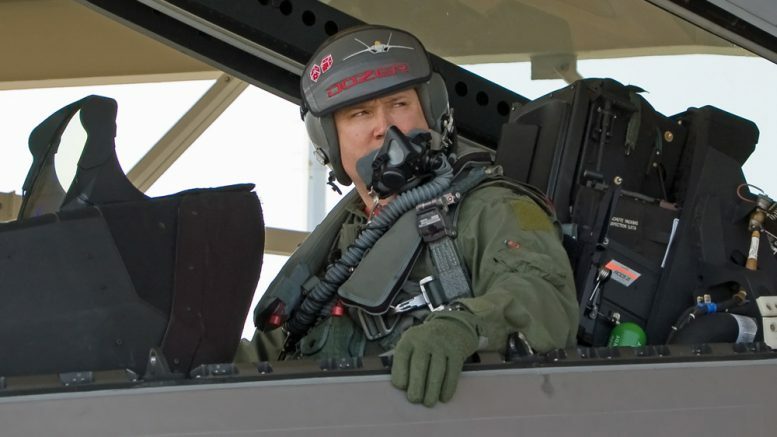 He has more than two decades of service as a pilot in the U.S. Air Force, where he reached the rank of lieutenant colonel, piloted F-22s and managed the organization and execution of large-scale military training exercises. He also has an MBA from Touro University, according to his refreshingly professional resume, and the worst CourtView returns is a 2011 speeding ticket that was dismissed after the completion of defensive driving course. From what we’ve heard, Shower is considered to be politically very conservative, possibly leaning the seat even further to the right than when it was held by Mike Dunleavy, with a generally gruff exterior. It appears that the pick will likely be acceptable to Senate Republicans, who have to confirm Shower. Less than a half hour after Walker made the announcement public, the Senate Majority released a statement thanking the governor for picking a candidate put forward by local Republicans. The statement itself wouldn’t be notable if not for the ringing silence from the Senate Majority after Walker’s appointment of hardline anti-abortion opponent Tom Braund to the position last week. Braund, who had a variety of disqualifying social media posts ranging from comparing women to dogs and calling for abortion providers to be hunted and executed, blew up the Alaska political world for a day before Republicans flinched and Braund took himself out of the running. Senate District E includes parts of the Mat-Su Borough as well as much of the Glenallen Highway area reaching from Delta Junction to Valdez. It has been vacant for the entirety of the legislative session (now at day 36) after former Sen. Mike Dunleavy quit in order to pursue the Republican nomination for governor. Be the first to comment on "Walker appoints U.S. Air Force veteran Mike “Dozer” Shower to Senate District E"